Humorous yet spiritually rigorous in the tradition of Zen and the Art of Motorcycle Maintenance and The Tao of Pooh, drawing from pop culture and from personal experience, The Dharma of “The Princess Bride” teaches us how to understand and navigate our most important personal relationships from a twenty-first-century Buddhist perspective. Friendship. Romance. Family. These are the three areas Ethan Nichtern delves into, taking as departure points the indelible characters from Rob Reiner’s perennially popular film—Westley, Fezzik, Vizzini, Count Rugen, Princess Buttercup, and others—as he also draws lessons from his own life and his work as a meditation teacher. Nichtern devotes the first section of the book to exploring the dynamics of friendship. Why do people become friends? What can we learn from the sufferings of Inigo Montoya and Fezzik? Next, he leads us through all the phases of illusion and disillusion we encounter in our romantic pursuits, providing a healthy dose of lightheartedness along the way by sharing his own Princess Buttercup List and the vicissitudes of his dating life as he ponders how we idealize and objectify romantic love. Finally, Nichtern draws upon the demands of his own family history and the film’s character the Grandson to explore the dynamics of “the last frontier of awakening,” a reference to his teacher Chogyam Trungpa’s claim that it’s possible to be enlightened everywhere except around your family. With The Dharma of “The Princess Bride” in hand, we can set out on the path to contemporary Buddhist enlightenment with the most important relationships in our lives. "A book filled with important insights, humility, and wonderful humor." "A glorious book: a wise, pragmatic toolkit for creating meaningful relationships with friends, in romance, and with family. Reading it is like a warmhearted friend taking your hand and helping you figure out how to live." "This powerful book inspired me to start meditating again. If I had read it before getting into a miserable relationship with someone who LOVED The Princess Bride, I'd probably like the movie too." 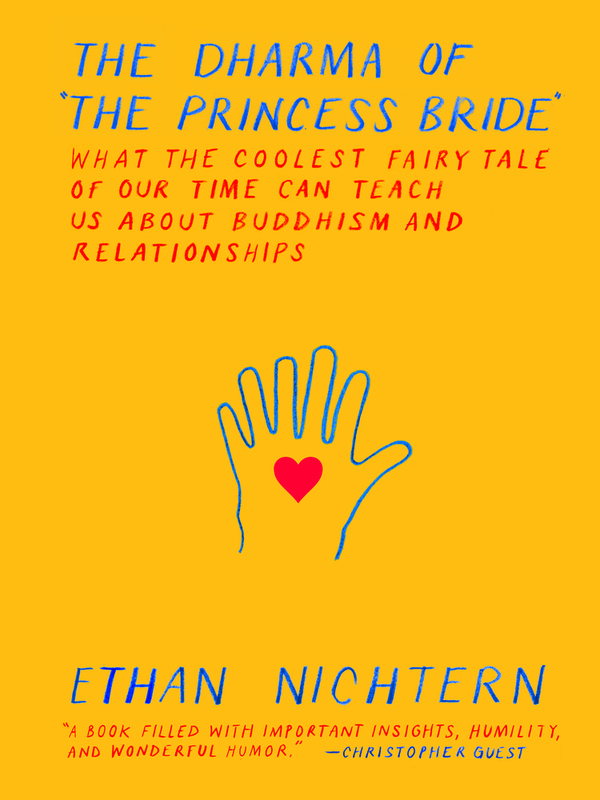 "Examples from both [The Princess Bride] and [Ethan Nichtern's] personal life add warmth to this study of relationships and Buddhist philosophy. Fans of the movie will want to see it again armed with Nichtern's insights." "Fans of popular films who are also drawn to Buddhist principles will find much to enjoy here as Nichtern's deconstruction of the plot skillfully and clearly teases out well-defined lessons—his ruminations on friendship through the relationship of Fezzik and Inigo Montoya are a highlight . . . For those who seek meaning, love, and values, even in unorthodox places, this unusual work will come as a pleasant surprise." 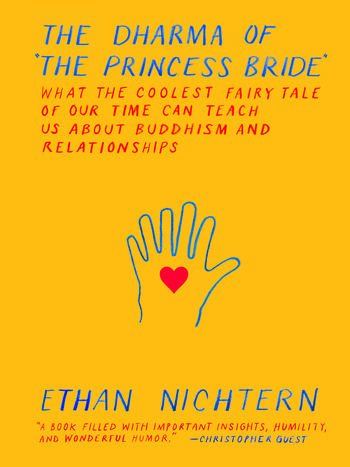 "Ethan Nichtern brings Buddhist wisdom to bear on the topics of love, friendship, and relationships through a pop culture lens that is simple irresistible." "How can I not read this book!" Ethan Nichtern is a senior teacher in the Shambala Buddhist tradition and the author of The Road Home: A Contemporary Exploration of the Buddhist Path and One City: A Declaration of Interdependence. He is also the founder of the Interdependence Project, a nonprofit organization dedicated to secular Buddhist study as it applies to transformational activism, mindful arts and media projects, and Western psychology. Nichtern has taught meditation and Buddhist studies classes and retreats across the United States since 2002. He is based in New York City.